Hell will rise up upon the St Kilda area for a night of violence and revelry. Be a part of our upcoming episodes, filmed for Pivotshare and Amazon Prime which will be seen by darlings of the Underworld all across the world. The ultimate marriage of pro wrestling, combat and art: wrestlers of the Underworld will compete for points in hopes of challenging for the darkest prizes in combat sports, the Underworld Championships. Why not join us for a lovely night of hard-hitting, theatre-driven, professional wrestling, for ALL are welcome at Underworld Wrestling. - We have hot snacks, soft drinks and are fully licensed! - MATURE EVENT: Minors under 15 years of age must have a parental guardian and we reserve the right of refusal of entry. Follow our event page for updated event details. Please note that we have limited seating and once seats are filled, it will be standing room only. Please arrive early to avoid disappointment. All stragglers will be fed to the pet Krusulog. EVERYBODY is welcome to witness The End of All Things. Any behavior deemed to be abusive, harmful or hateful by anyone attending or working this show will not be tolerated. Card is subject to change. All sales are final. 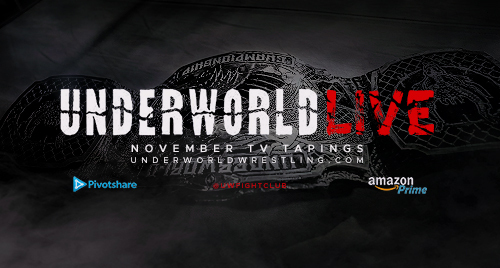 Underworld Wrestling has multiple first aid professionals on site in the unlikely event of an in-ring incident. The safety of our wreslters and talent are our number 1 priority. 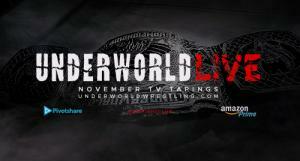 Underworld Wrestling reserves the right to eject any persons deemed to be in violation of our ethics policy. © 2019 Ticketbooth on behalf of Underworld Wrestling. All sales are final. Tickets are non-refundable.